From January 2016 I will be offering an intermediate acceptance and commitment therapy (ACT) training over eight full days. There will be one training day a month, generally happening on the second/third Saturday of the month. The aim of the training is to move therapists and counsellors who know the basics of ACT towards being competent, confident ACT consistent practitioners. ACT has been shown in studies to be at least as effective as CBT to help clients deal with issues such as anxiety, stress, depression, obsessive thoughts and many other issues. Over the long term ACT has been shown to be more effective than CBT in many studies. In order to attend the course you will be required to understand the basic concepts of ACT. 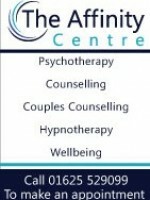 I do offer an introduction to ACT which would cover these concepts (more information can be found here: http://affinitycentre.co.uk/acceptance-and-commitment-therapy-course/). If you are unsure as to whether you might have enough knowledge for the course please contact me and we will make sure you are up to speed before joining. Training in ACT is often hard to come by, especially outside of London. As a result my courses and trainings fill quickly. Please sign up as soon as you know you want to attend this training to guarantee a place. Ian is a UKCP registered psychotherapist, supervisor and trainer. He is a certified Transactional Analyst and has been using ACT for many years in his private practice. In addition to extensive training in ACT, Ian has weekly supervision from one of the leading experts in ACT and Functional Contextualism in the UK.